Your Doc’s In is an award-winning urgent care and occupational health center dedicated to providing the highest standard of care and improving the quality for residents and visitors of the Eastern Shore community. Our focus is on providing the highest quality care for patients that need to be seen as quickly as possible but do not need to be in an Emergency Room. We treat non-life or limb threatening injuries for patients ranging from infants to the elderly. Don’t wait weeks for an appointment with your physician. 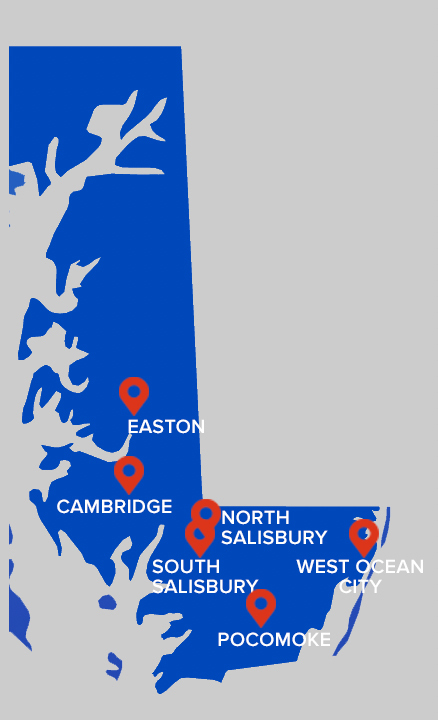 We offer no-appointment needed services at any of our six immediate care locations. Our focus is on providing you the finest medical care possible, covered by most major health insurance plans including Medicaid and Medicare. Your Doc’s In also provides affordable self-pay options as well. Our award-winning clinic was founded by an experienced ER physician looking for a way to better serve patients. We are led by a team of board-certified physicians and medical professionals dedicated to providing a compassionate and individualized approach to patient care. Visit us to see how we set the benchmark for convenience, comfort, and results. You’ll love the way we care for you.